Like what you see on the DMHS Volleyball website? You can be a part of it—now is your chance to have your business showcased with your choice of a top banner ad or a side banner ad on the website. This gives it the opportunity to be seen by students, parents, faculty and members of the local community, while also supporting the DMHS Booster Club. 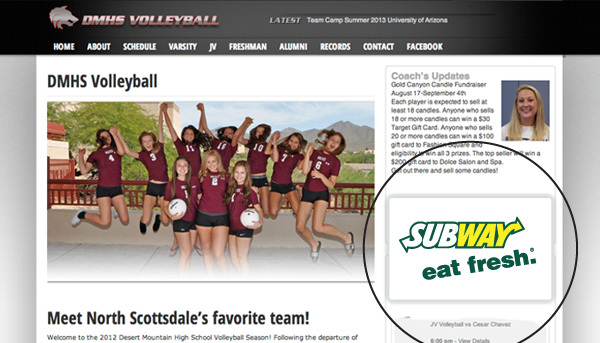 This banner ad will remain on www.dmhsvball.com throughout the season.